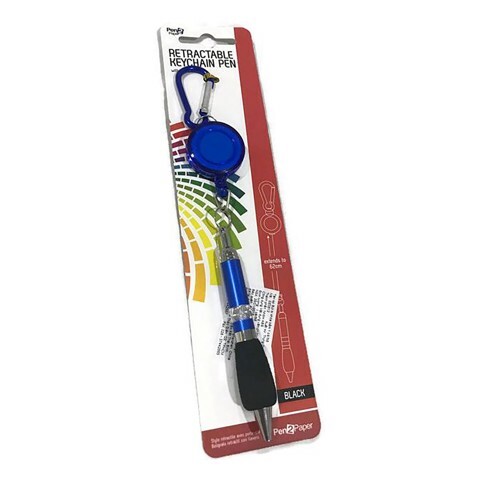 Pen Retractable W/Key Holder. 10.5CM BALL PEN 5CM ALUM.CARABINER CLIPS 52CM STRING. BLUE BLACK. ABS ALUMINIUM. 17G Packaging: Backing tie card.